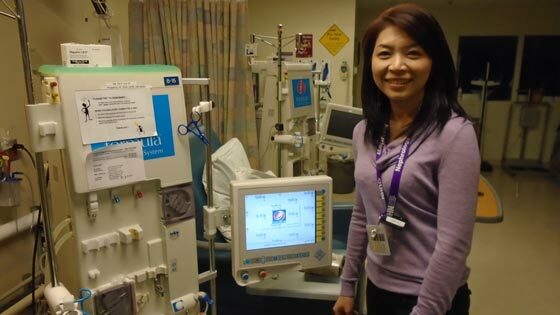 Medical staff from around the world come to the home dialysis program at Toronto General Hospital to learn how to teach dialysis patients in their countries to become more independent and informed about their treatment. TGH's internationally renowned ExpLoRe Home Dialysis Program is the largest and most unique program of its kind in the world. Throughout the year, it hosts healthcare professionals from countries such as Thailand, Spain, Brazil and Lebanon.